Fact: bulking is awesome. It means more sets, more reps, larger pumps, and of course, more freaking food. Bulking is the time you ditch the veggies and stuff ice cream, pasta, bagels, pie, potatoes, cheese, frozen yogurt, chocolate, and donuts down your gullet. At least, that’s what makes bulking so much fun, right? Building muscle means you can feel a bit more like a “real person.” Going out to dinner with friends feels effortless. You can opt to have the double bacon cheese burger because you’re not trying to get lean. It’s muscle building time. So bring on the calories, amirite? The first few weeks are amazing. You’re crushing the weights, your arm and chest pump last for days, and you look bigger and more badass in only a few weeks. 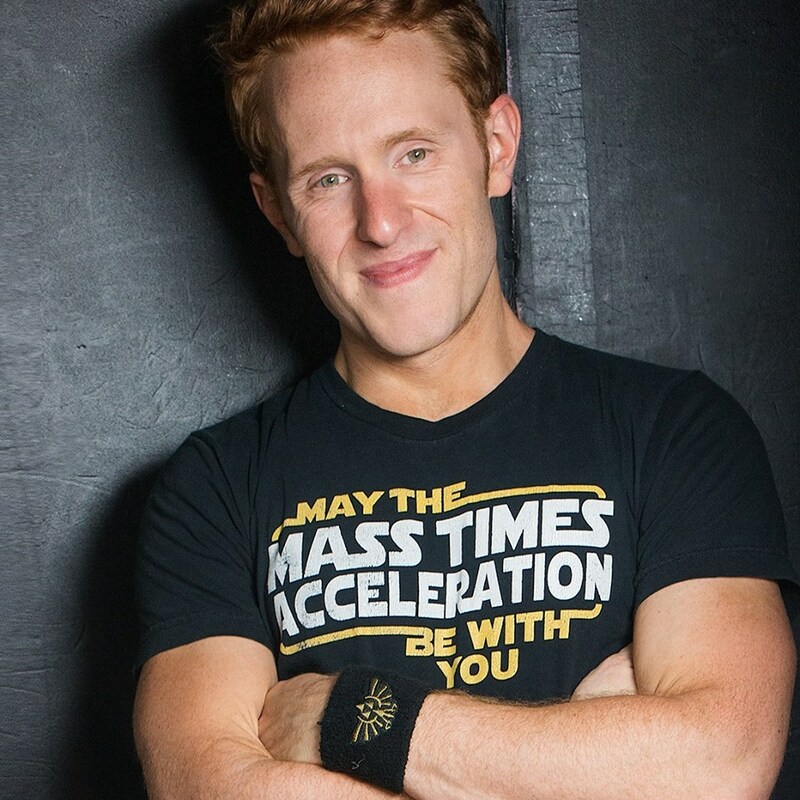 Hell, your t-shirt size has now graduated from small to schmedium. As you near the end of your glorious 16 to 20-week bulk, you realize that the reflection you see in the mirror looks a bit more puffy than usual. When you hop on the scale, you’re now pounds and pounds heavier than you were before. Look, it happens to the best of us. At one point or another, you’re going to bulk so hard that you end up in what some people call a “fulk.” I’ll let you deduce what the “f” means. 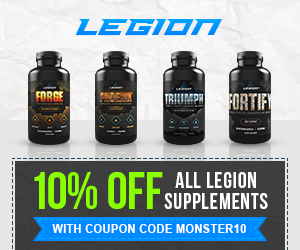 But, bulking doesn’t mean you have to gain enormous amounts of body fat. Bulking with minimal fat gain is possible. Which, in turn, makes getting shredded again for the beach less of a hassle. Trust me. I know what it’s like to spend nearly six months shredding away excess body fat gained during a fulk bulk. 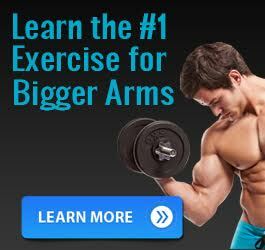 This winter is a great time to add muscle. But don’t let these three traps trip you up and cause you to gain excess, unwanted body fat before Spring. Prince may have taught us about how to party like it’s 1999. And my ability to party hard is one of the reasons I got fat in college. But during bulk season, it’s easy to fall into the cognitive trap that you can now drink more than ever. I mean, hey, beer has carbs, right? And I need calories to gain muscle. So, crack a beer and let’s toast to gains. Sorry to tell ya there, Boozy McGee, but alcohol has calories. Beer, wine, vodka, and even my favorite, whiskey, all have calories. All alcohol, no matter the type, has calories. And it’s not beer or the carbs in the beer that make you fat. What makes you fat from drinking alcohol is more the fact that drinking makes it easier for you to say “yes” to food. It lowers your inhibitions. And when it comes to bulking, you’re already (don’t lie to me, I know you do it, because I do it too) convincing yourself that those extra servings of donuts or pancakes or Ben and Jerry’s are okay—since you’re bulking and all. Now that you’ve mentally told yourself (sober) that it’s cool to eat the ice cream when you get drunk, you’re making it 10,000 times easier to shove a pint (or two) of ice cream in your face. Oh. And there is that whole other thing about alcohol. You know, the part where your body puts all other metabolic processes—and muscle building ones too—on hold so that it can burn off and rid the body of the alcohol you’ve consumed. Which means that excessive drinking while bulking, means your body will stop building muscle—the opposite of your goals—and store those nutrients as fat so it can process the booze you’ve been imbibing. Bulking doesn’t mean you have to be sober. But if you think trading one six pack for another is a good idea, think again. Confession: I am not a scientist. Nor am I a doctor. But, there is one symptom of SAD than can cause a whole host of issues if you suffer from the winter blues. For millions of people who suffer from SAD, during the winter months, they tend to overeat. Especially, in the forms of carbohydrates. There are theories for why this happens. Some of them claim it’s due to a lack of sunlight, while others believe it’s due to a lower production of serotonin. 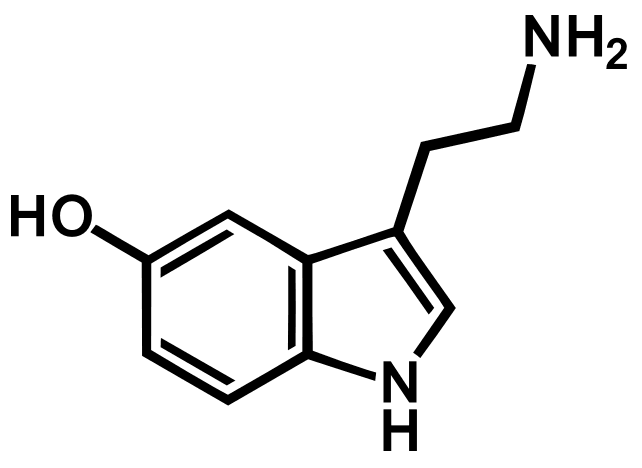 Serotonin is a neurotransmitter found in our GI tract and Central Nervous System. Its primary function is to stimulate our feelings of happiness and well-being. And one of the best ways to increase its levels in our bodies is by consuming a high carb meal. There’s a bit more to it than this, but, I’m here to keep it as simple as possible. When you eat carbs your pancreas releases insulin, and then insulin transports amino acids from your bloodstream to your cells. Except, it leaves behind one amino acid: tryptophan. And tryptophan is the precursor to serotonin. Tryptophan can sneak its way past the blood-brain barrier where it’s converted to serotonin in your noggin—leaving you with a feeling of fullness and a bit more happiness throughout your body. But, if serotonin is already low thanks to the winter blues, or you suffer from depressed levels throughout the winter, you’ll easily crave more carbs. And processed foods are highly palatable foods that are designed to make it easier for you to consume. But hey, those crackers were on sale and you’re bulking, so it’s totally fine. It was the best of foods and the worst of foods. And, no, I’m not talking about those rectangular pizzas you were served as a kid growing up in school. Bulking (usually) implies that you’re freer to eat foods like ice cream, nut butters, pizza, bagels, donuts, and anything else that might be frowned upon during your cut. Sure: brown rice, sweet potatoes, green leafy veggies, and beans provide you with tons of healthy nutrients and muscle building power. But there’s one problem with foods like that. They take up an enormous amount of volume in your stomach and make you feel like you’re weighed down. Your dieting days of complaining about your lack of food have become a distant memory, because now you’re complaining about eating one more cup of rice. During your cut, all you wanted was to reach a day where you could have your cake and eat it too. Except now, you can barely put down the cake. Here’s where foods like ice cream, nut butters, pie, cake, and other processed foods pose a problem. Since they take up a small amount of space in your stomach, it’s super easy to overeat these hyper-palatable foods. And the next thing you know, you’ve downed two pints of Cherry Garcia FroYo, and you’re still hungry. Gaining muscle is a lot of fun. Far more enjoyable than cutting. But if you let yourself venture into the land of fulk, you’re setting yourself up for unnecessary fat gain. 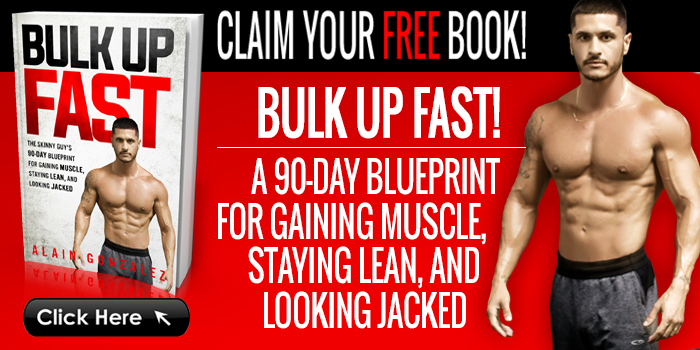 And do you really want to slog through six months of fat loss next year? No. You don’t. 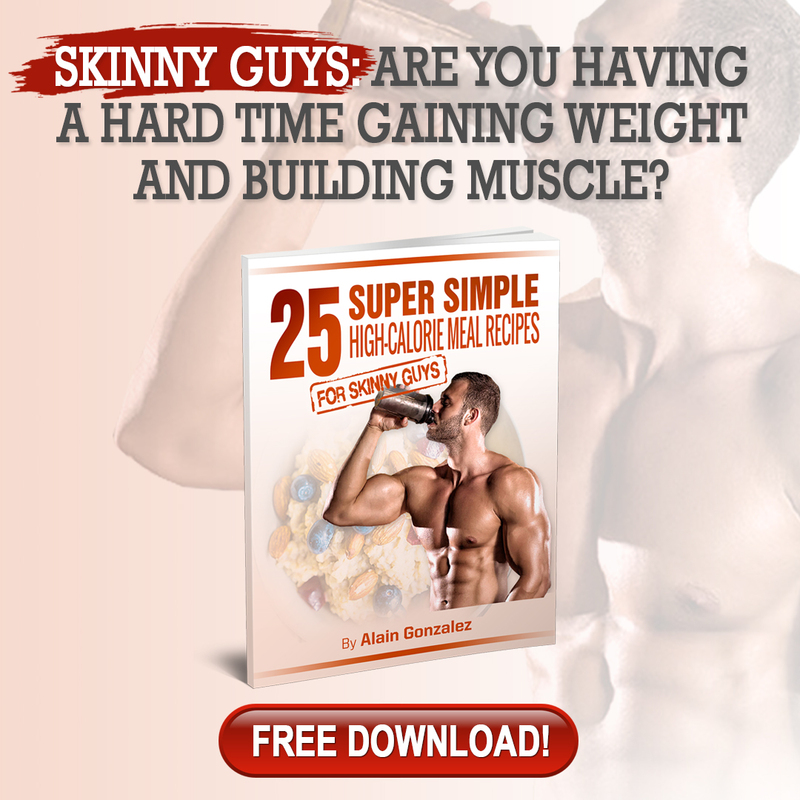 Are you a naturally skinny guy? 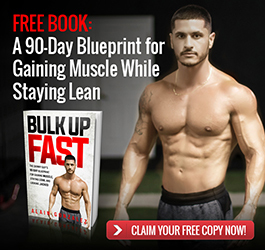 My name is Alain Gonzalez and I am NOT a bodybuilder; however, I have managed to gain over 27 lbs of drug free muscle in record time and I am here to show you how you can as well. 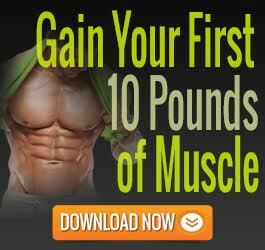 My goal is to help over 1 million naturally skinny guys to build muscle and achieve a physique they never thought possible. I offer simple, science based, fluff free training and nutrition advice for anyone who has struggled to put on any weight in the past.